Times are tough with soaring fuel prices, and more and more people are using motorcycles and scooters for commuting. That’s true in the US, but also in other countries. 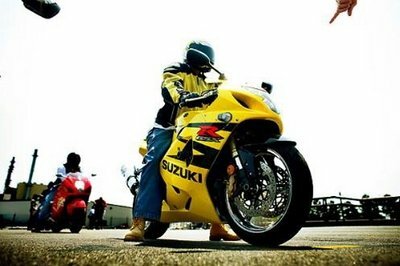 In the UK, the Motorcycle Industry Association (MCIA - www.mcia.co.uk) have asked companies to provide better facilities for their employees who ride their motorcycles to work. We’ve already mentioned last week the high number of fatalities for the US armed forces stationed in Europe (link). But in the USA, things are even more grim. 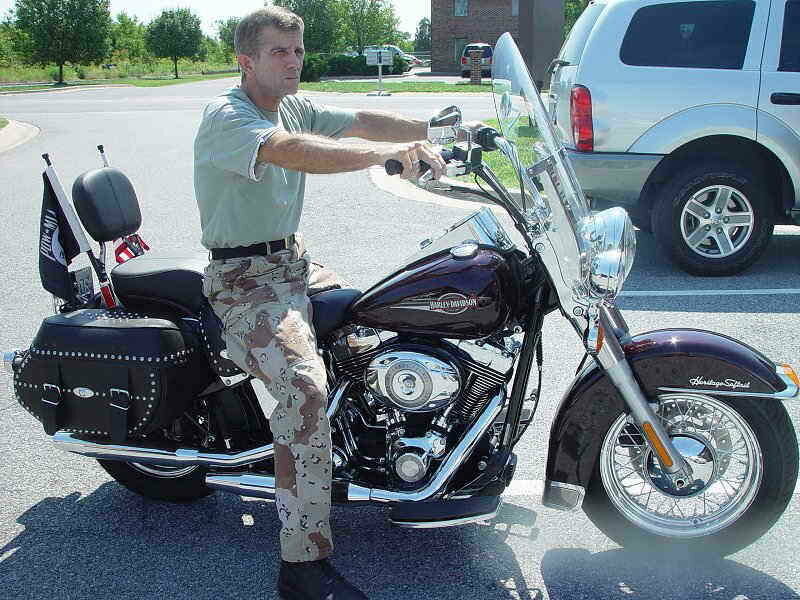 Since October 2007, 32 Navy and Marines have died on their motorcycles. 30 out of the 32 were riding sports motorcycles! Who knows, maybe you’ve got a spare Aprilia lying around. So what can you do with it? One thing you can do, is take it to custom shop MotoMorphic in San Rafael, California. There, they can transform your old and bland Aprilia into something more eye-catching. More than half a century ago, Honda started life as a motorcycle manufacturer, and migrated towards being one of the biggest car manufacturers in the world, while maintaining their dominant position as the largest motorcycle manufacturer. 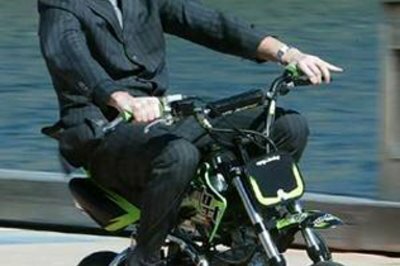 Now it would seem, motorcycles are going to become a more important part of their corporate life again. 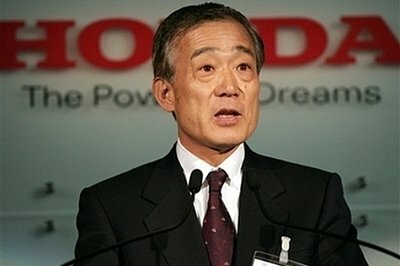 According to Honda’s CEO Takeo Fukui (http://en.wikipedia.org/wiki/Takeo_Fukui), “Motorcycle business is the driving force of Honda’s growth and expansion, and it is one of the key strengths of Honda that other automakers do not have”. Fukui further said at his mid year speech held on the 21st of May in Tokyo, “Demand for motorcycles as a means of transportation is expected to continue to grow mainly in Asian and South American nations. In addition, considering the global high price of crude oil, there is a good chance that motorcycles will be considered not only in developing countries but on a global basis”. What does this mean to us common bikers? Honda is going to come with many new models, from basic transportation motorcycles (like the new/old Super Cub) to off-the-wall motorcycles like the DN-01. Fukui reinforced this by saying “In order to efficiently produce approximately 60 models, from commuters to large-size motorcycles, Honda conceived and built from scratch highly efficient and ideal production lines to accommodate the unique characteristics of each model”. 60 motorcycle models?? The future looks good for motorcycle riders. With escalating fuel prices, US soldiers stationed in Europe are being forced to purchasing and riding motorcycles. Fuel prices in the USA are high, but nothing compared to gasoline in Europe. Since US soldiers stationed in Europe have the possibility of buying motorcycles at discounted prices (typically a Harley-Davidson will sell for US$2500 less than what you’d pay for it normally in the States), many are now flocking to these Powered Two Wheelers. In 2006, 3,184 motorcycles were registered by the Armed Forces in Europe, today 3,125 were registered, but there are now 15,000 less US soldiers in Europe, so per capita, far more new registrations. 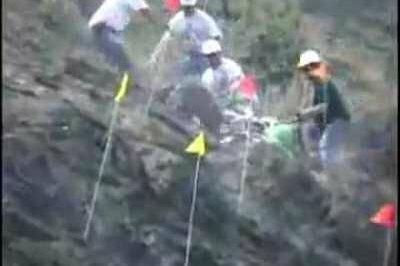 The biggest problem the officials face is safety. US soldiers receive a 2 day training in the US for their motorcycles and then return to Europe to ride their new bike. In comparison, a German motorcycle rider requires 39 hours of instruction, including riding their bike on freeways, rural roads and at night time. In France, 40 hours are required, half on special platforms, half on the public roads. MZ (http://www.muz.de/) was the “other” German motorcycle manufacturer. We’ve all heard of BMW motorcycles, but very few will know of MZ, and now you’ll probably never will. 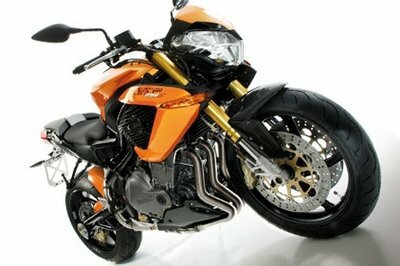 The current owner of MZ, Hong Leong Industries (http://www.hli.com.my/), has announced that it will stop production of MZ motorcycles. MZ was a former East-German manufacturer, and like all former East-block countries that switched to Western life-styles, invested in their manufacturer industries. MZ motorcycle were updated, rejuvenated, and a new management was set in place. 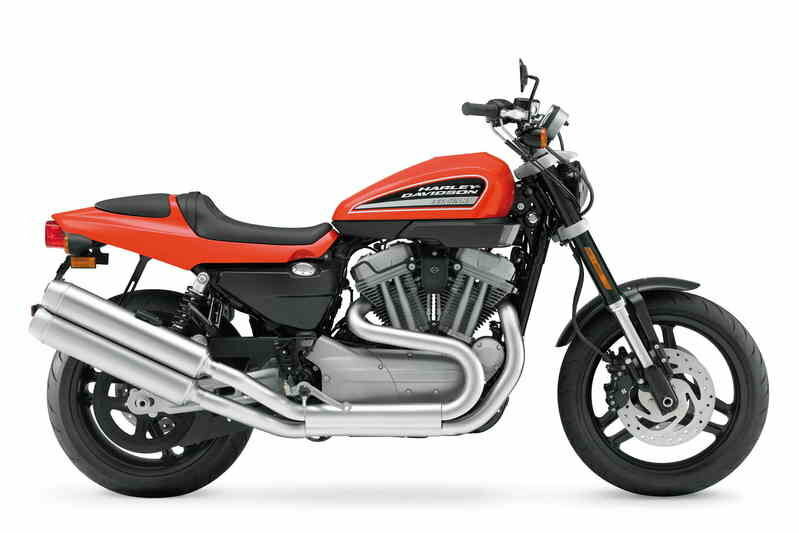 Their 1000SF Street Fighter had a good acceptance by press and public. 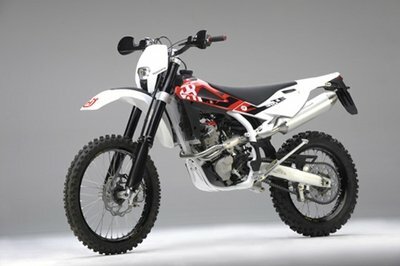 They even had an interesting 660 Supermoto. Hong Leong Industries bought MZ in 1996, but never managed to turn a profit. Despite interesting motorcycles, it could not compete with BMW on one side, and cheap Japanese imports on the other. So, after seeing life in 1926 under the trademark of DKW, MZ will be buried in 2008. 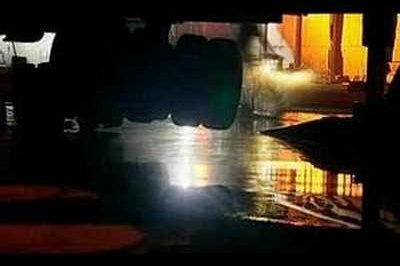 This for a motorcycle manufacturer that at one stage had world’s largest manufacturer plant (in 1928 they produced 60,000 motorcycles). Sad. X7. URBAN ENERGY. Piaggio presents us its latest proposal to the segment of GT scooter: an agile, compact scooter with maximum of fuctionality. A candidate to become a whole number one in sales. "ROCKET SCIENCE. 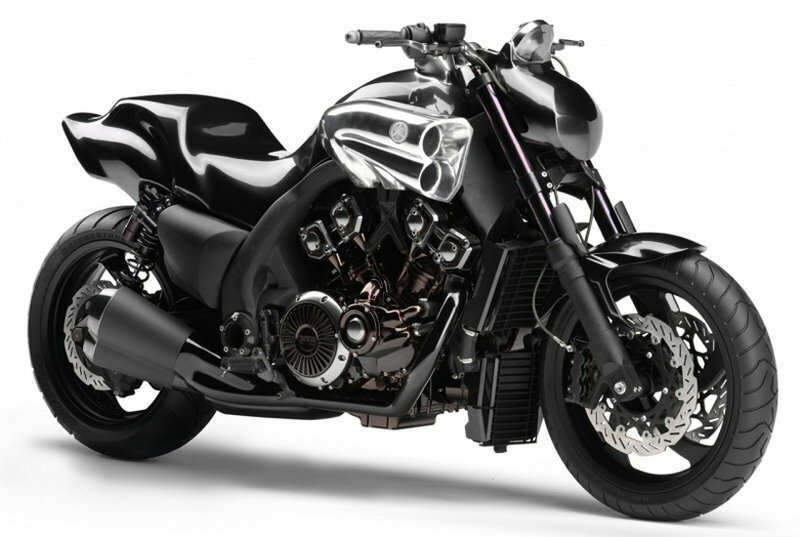 The VMAX has always been the muscle bike to end all other muscle bikes. Commanding respect, triggering fear. Now, the all-new 2009 VMAX. Re-thought, reloaded, with a major chip on its shoulder. The 2009 VMAX - We didn’t just improve a legend; We started a whole new one." CARNABY, I FEEL GOOD! The last high-wheel scooter model from Piaggio, is meant to fill the gap between the Beverly GT scooter and the compact Liberty urban scooter. A stylish way to get away from urban traffic congestions. The Vyrus. The motorcycle. Watch how 750 parts create the lightest motorcyle in the world. I’m not so sure about that but I know that they argue to be the lightest. 157 kg (346 lbs) dry weight is nevertheless so impressive. 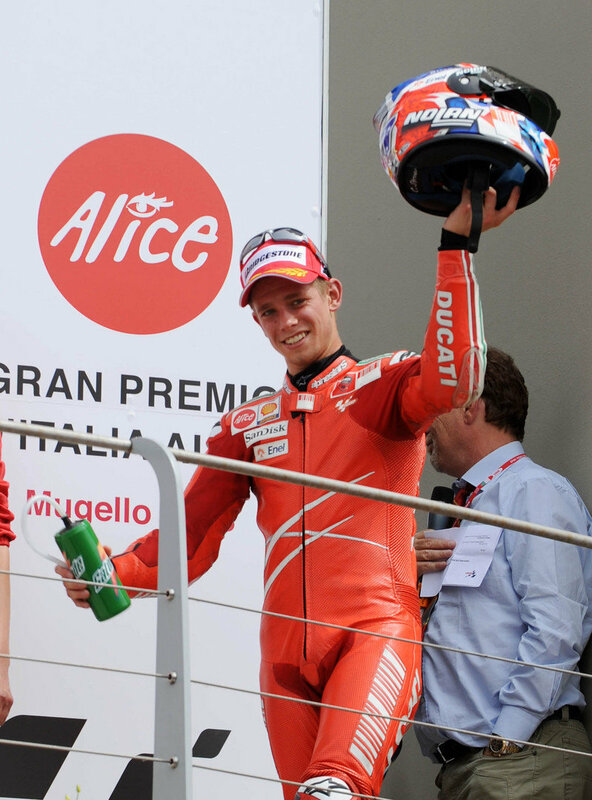 Casey Stoner played a starring role in the Italian Grand Prix at Mugello, where he claimed an outstanding second place following a hard-fought battle with Dani Pedrosa. 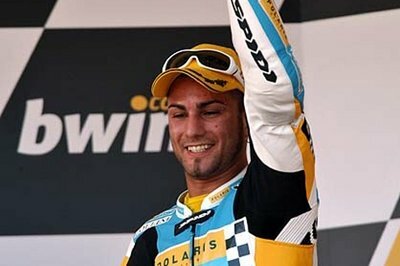 Unfortunately his team-mate Marco Melandri was forced to retire on the fifth lap after running straight into the gravel when avoiding a stricken Randy De Puniet, who had crashed in front of him following contact with Chris Vermeulen. The sun also shines for the 250cc qualifying practice defining the Italian GP starting grid. 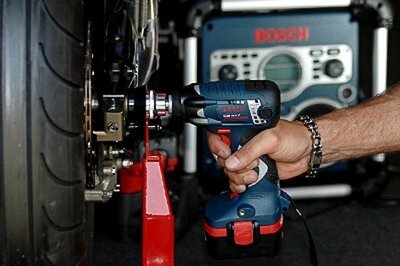 Riders extensively tested their bikes’ set-ups for dry conditions, which are also foreseen for tomorrow’s race. 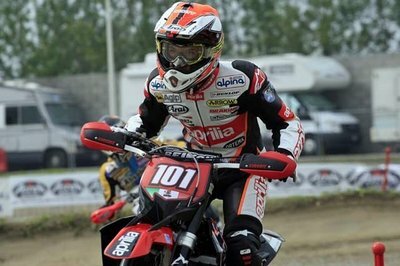 Aprilia performed brilliantly placing two RSAs in the first two positions ad six bikes in the first ten. World Championship leader Mika Kallio reveals the secrets behind his success in this year’s 250 cc campaign: A small and efficient crew of engineers, new developments for his KTM FRR 250 - and cold blood in the heat of the battle. You have a comfortable lead in the championship. 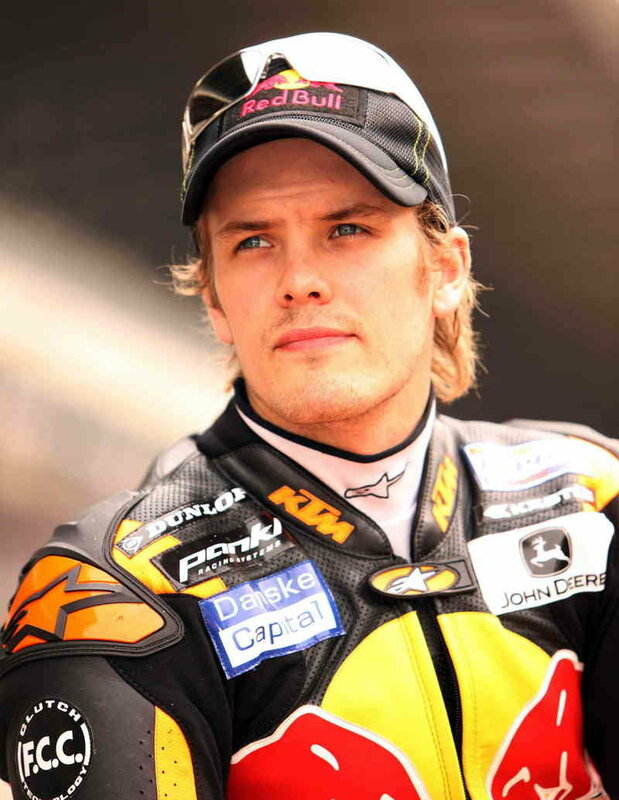 Are Mika Kallio and KTM the best combination in this year’s 250 cc championship? Here’s a lesson that all of us could take: it’s the rider not the bike that makes the difference and you can have a blast on a mid-size motorcycle too. 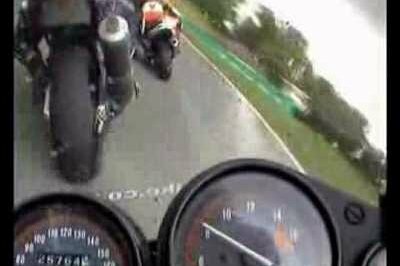 To convince you, here’s a video where a Kawasaki ZX-R ...400 competes against three other bikes but the weird thing is that the 400cc is far from its place in this pile of cubic centimeters and watts. Before you watch this video I must remind you that the 400cc has a maximum power output around 57HP while the other three at least three times more. 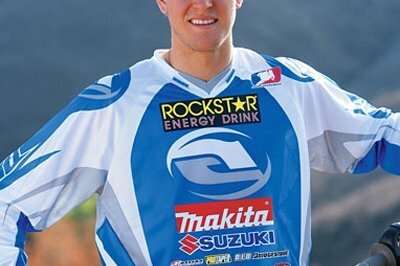 Yamaha has been really able to sustain the suspense. Submitted for the first time at the Salon of Tokyo 2005 at the prototype stage, the new generation of the Vmax was later seen several times on various shows throughout its development. But, it is finally here! 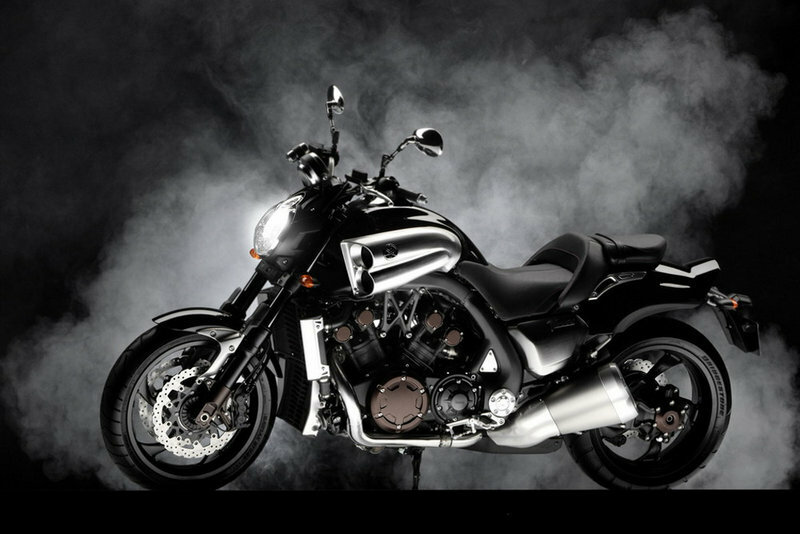 Mark your calendars because Yamaha’s European web site displays out over several days a detailed statement announcing a (happy) event: The 2009 Yamaha V-Max will be unveiled on June 4th at 8pm CET. With gas prices quickly rising and the recent Vespa S press ride in New York, Vespa has generated a lot of press. Here are some recent news coverage. 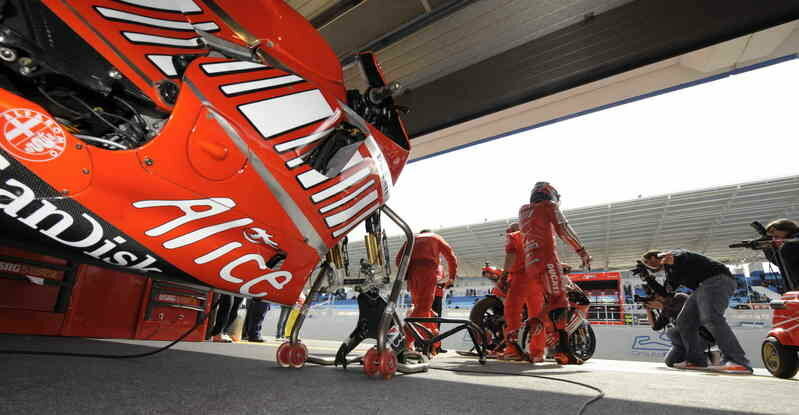 The Ducati MotoGP Team is preparing itself for one of the most popular events of the season for the teams, riders and fans this weekend, as the Grand Prix of Italy takes place at the Mugello circuit, located less than 90 kilometres from the factory’s headquarters in Borgo Panigale. 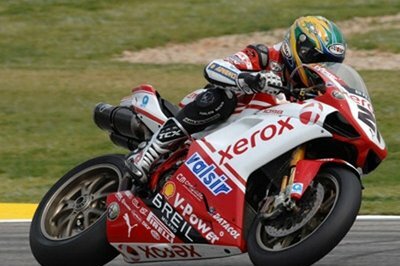 The Ducati Xerox Team will tackle a new track this weekend as the Superbike calendar takes them to America and the Miller Motorsports Park of Salt Lake City, Utah. 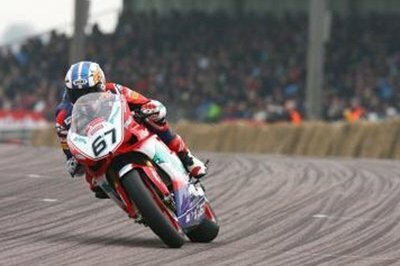 Having successfully hosted the AMA American Superbike series on two previous occasions, Miller this year steps up to the challenge of organising the Superbike double-header, with both the World Superbike and national Superbike teams racing at the circuit over the weekend. 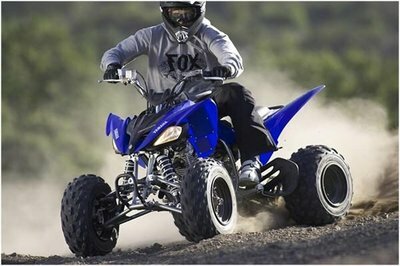 Yamaha’s Raptor 250 continues to earn individual and industry praise as one of the best new ATVs of 2008. 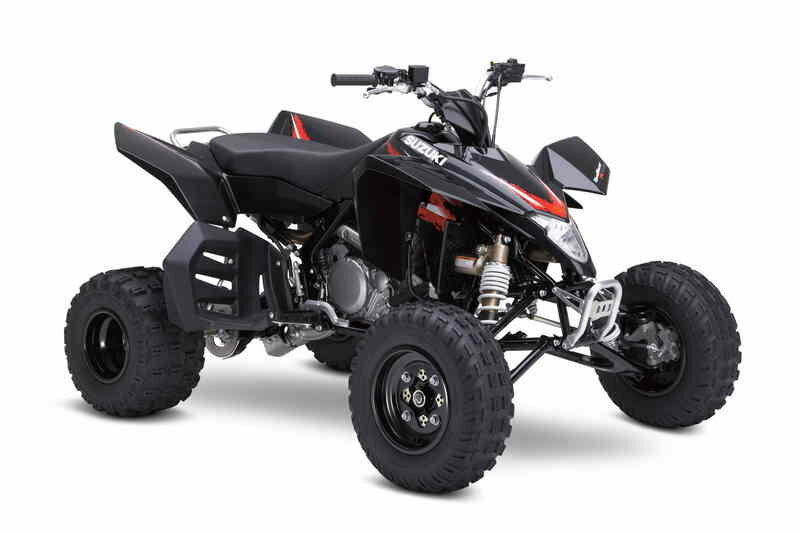 The all new ATV has completely raised the bar for the entry-level class with superior design and performance. Press reviews of the machine have been overwhelmingly positive, the new Raptor 250 now shows up (and wins!) 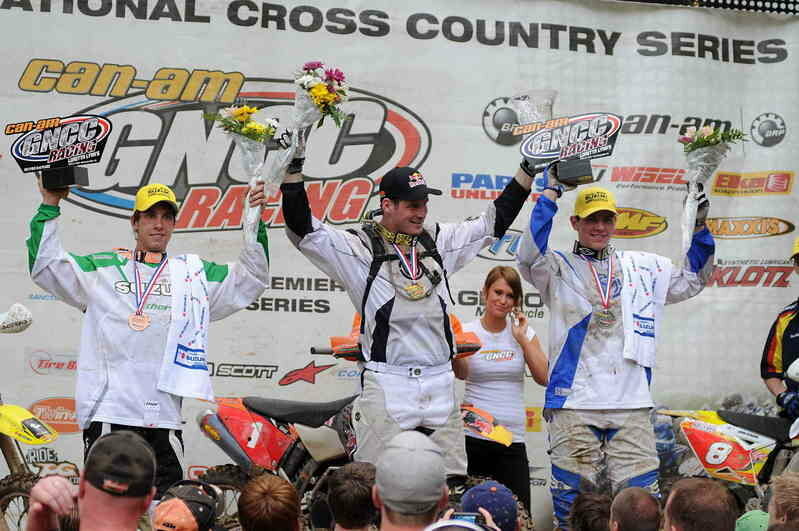 at national and regional racing series, and ATV Sport magazine has now named it the “Best Of Class” for 2008. 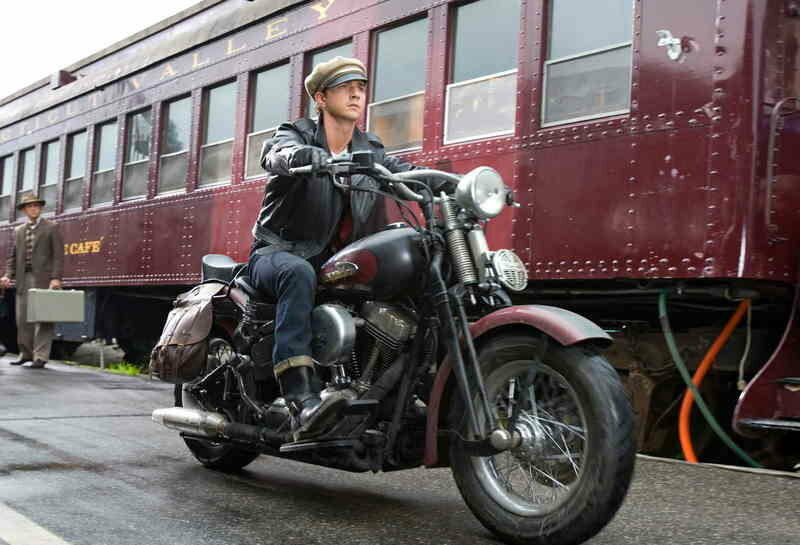 A Harley-Davidson Softail Springer Classic features prominently in the new Indiana Jones movie ’Indiana Jones and the Kingdom of the Crystal Skull’ opening in theaters across the country today. 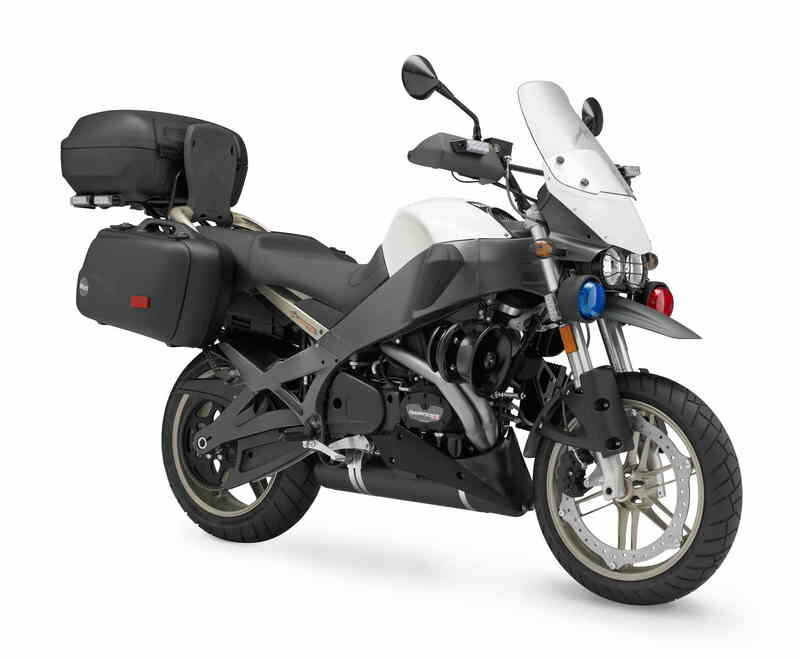 The new Buell Ulysses Police XB12XP offers government agencies and private security firms a quick and very nimble "special duty" patrol vehicle that is capable of travel over a variety of terrain, from open highways to city streets to unpaved back-country roads. Vito Ippolito, the new president of the International Motorcycle Federation came to Borgo Panigale to visit the Ducati factory and to meet with Gabriele Del Torchio (Ducati CEO) and Claudio Domenicali (CEO Ducati Corse). 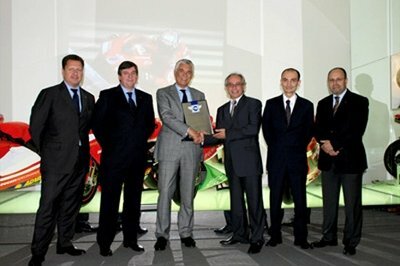 President Ippolito was accompanied by Guy Maitre (FIM CEO), Oliver Godallier (FIM Marketing Director) and Ignacio Verneda (FIM Sports Director). Cumulative worldwide production of Honda Cub series motorcycles reached the 60 million-unit milestone at the end of April 2008. Honda Super Cub C100, first introduced in Japan in 1958, has gained worldwide acceptance both as a business-use motorcycle and for daily transportation, and has been being enjoyed by customers in more than 160 countries around the world. 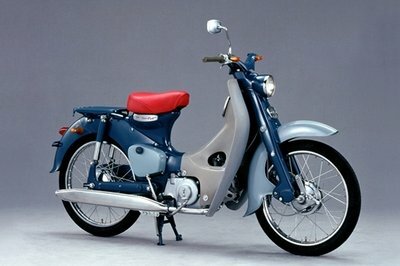 This August will mark the 50th anniversary of launching of Honda Cub series. 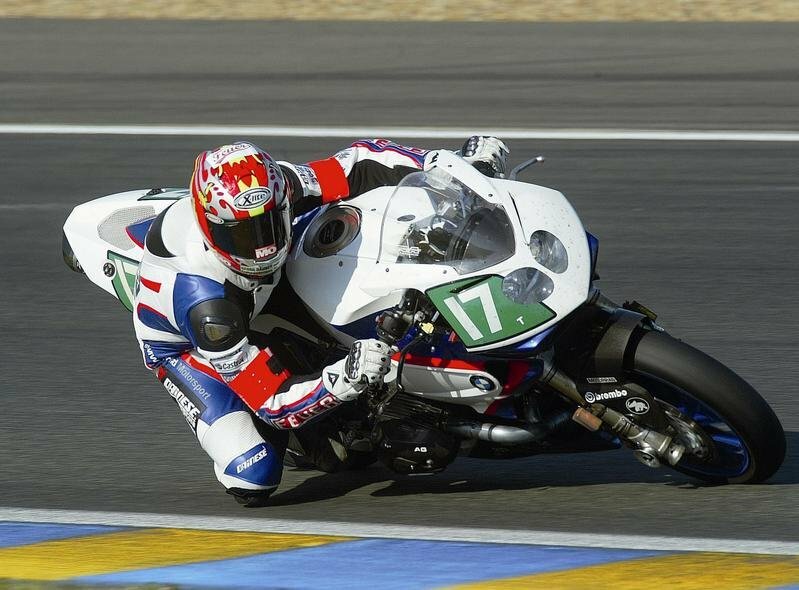 BMW Motorrad Days 2008. Off to Garmisch-Partenkirchen! 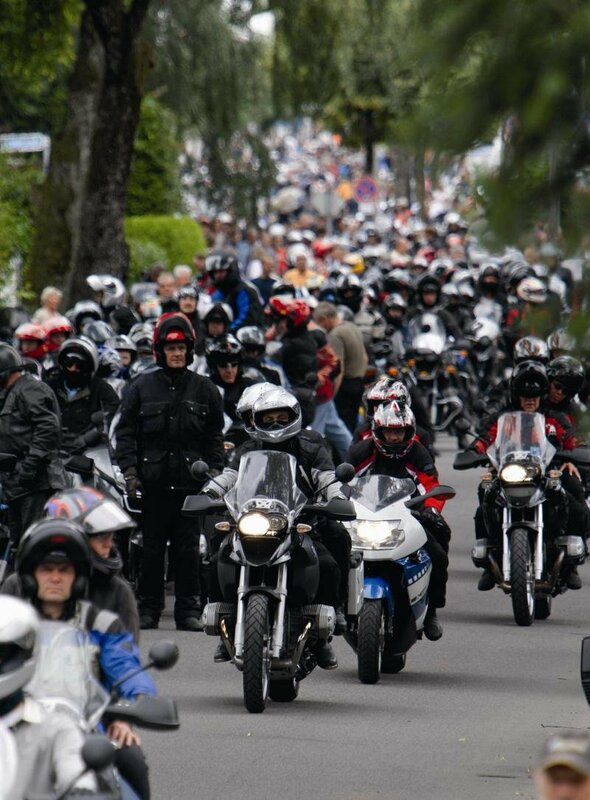 On July 4-6 it will once again be the time of year when motorcycle fans from all over the world come together to party. BMW Motorrad looks forward to welcoming many riders and friends of all motorcycle brands, particularly after last year’s BMW Motorrad Days attracted more than 34,000 visitors to Garmisch-Partenkirchen. 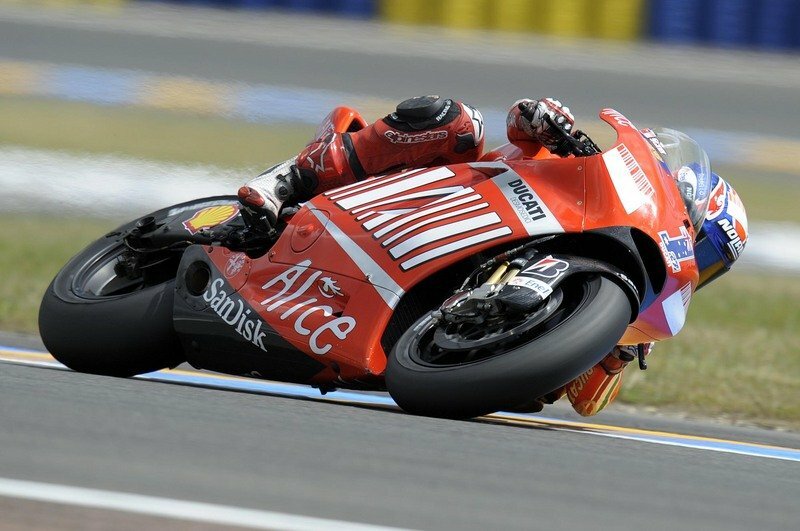 The Ducati MotoGP Team have concluded day one of testing at Le Mans today in cool and cloudy conditions. Thankfully the weather did not interrupt the riders’ programme and both Casey Stoner and Marco Melandri were able to work on various aspects of the set-up of their GP8 machines, as well as trying a variety of new Bridgestone tyres. 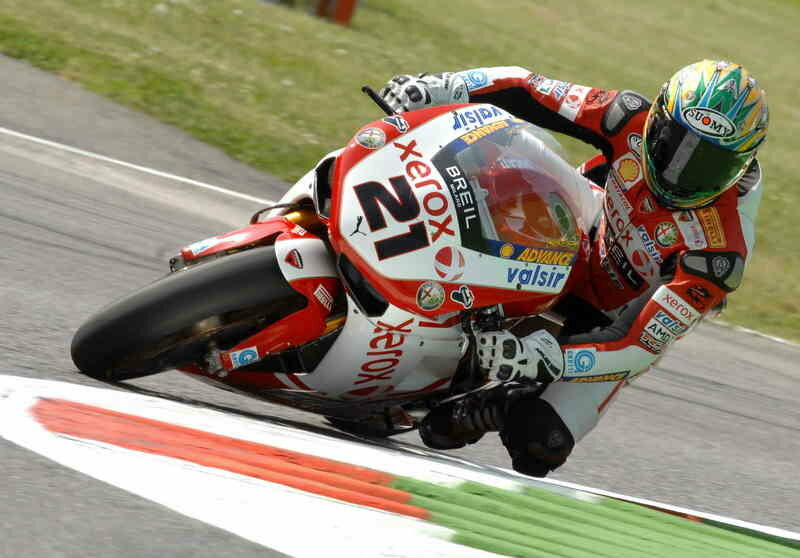 The Ducati Xerox Team made a strong start to the weekend’s proceedings in the first qualifying session this afternoon at Monza, with Troy Bayliss and Michel Fabrizio attaining respectively the second and seventh fastest times. Bayliss and his factory squad were able to clock up some consistently fast laps during both this morning’s free practice and the afternoon’s qualifying while Fabrizio spent time learning how best to approach the track on board the Ducati 1098 F08. 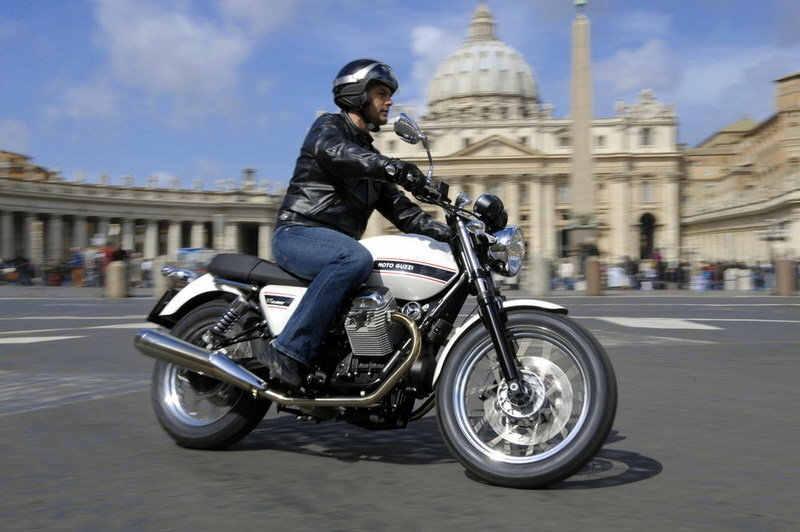 Here’s the commercial video for the 2008 Moto Guzzi V7 Classic, the revival of Giulio Cesare Carcano’s ’67 Moto Guzzi V7. In appreciation of the commitment and sacrifice of the men and women serving in the US armed forces, BMW Motorrad USA is pleased to announce a special motorcycle purchase program for all active members of the US armed forces. The program — which runs through December 31, 2008 — is designed to help military personnel purchase the BMW motorcycle of their choice for personal use. In 1970 Harley-Davidson introduced a new 750cc, 4 speed, 90 bhp V-twin engine motorcycle specifically for flat track racing, the XR750. Little did the engineers realise that the bike they had produced would go on to become the world’s most successful flat track bike, destined to dominate championships from the early 1970’s through to the present day. 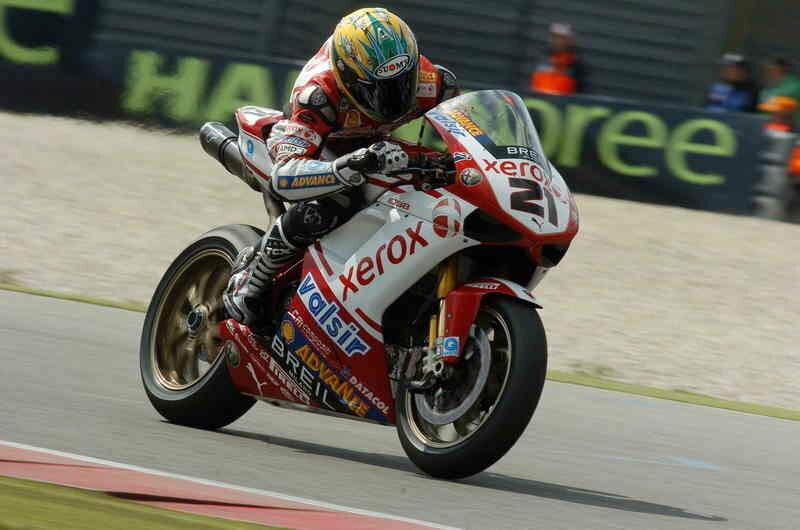 The Ducati Xerox Team looks forward to the first of three “home” races on the 2008 Superbike calendar, to take place this weekend at the Monza park circuit. 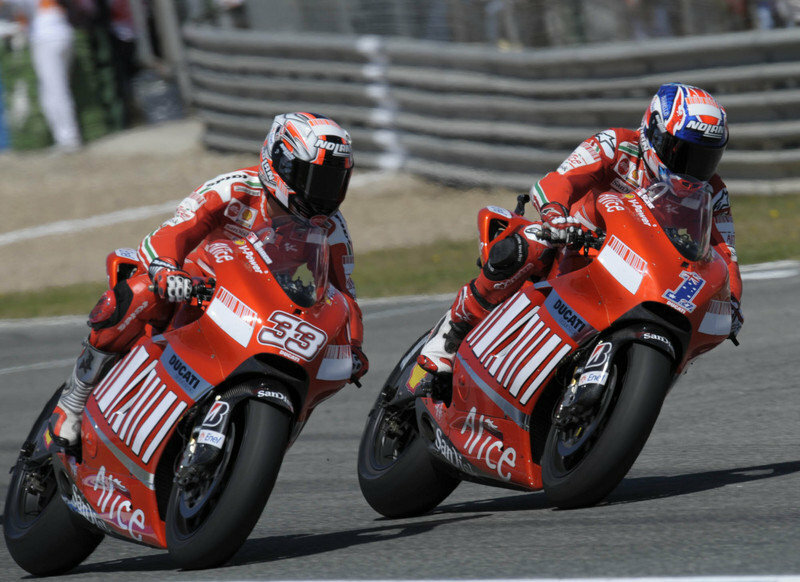 A special track for both the Ducati Xerox riders, the weekend is sure to be as thrilling as ever, with Troy Bayliss and Michel Fabrizio both hopeful of being able to rely on the fantastic support that the Italian fans and Ducatisti always provide. 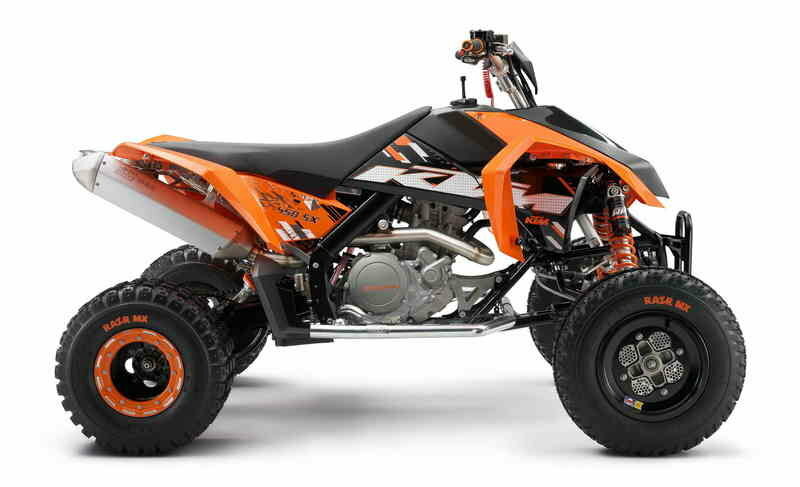 KTM, continuing in its role as the world leader in sports motorcycles is present at the trendsetting Motorcycle Fair in Barcelona, Spain with the latest models in the successfully launched ATV series, including the new benchmark in the category SX ATV. 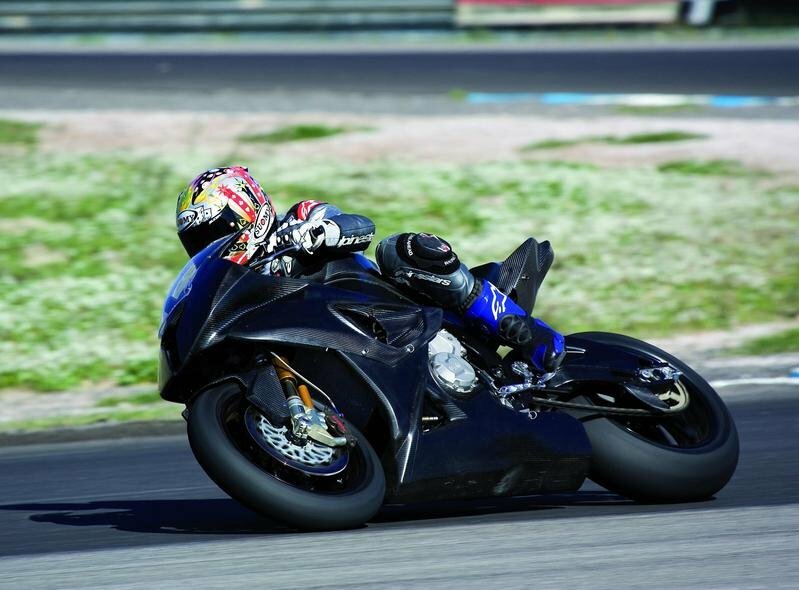 The British-built three-cylinder machine saw off competition from its supersport-class rivals at the Almeria circuit in southern Spain. 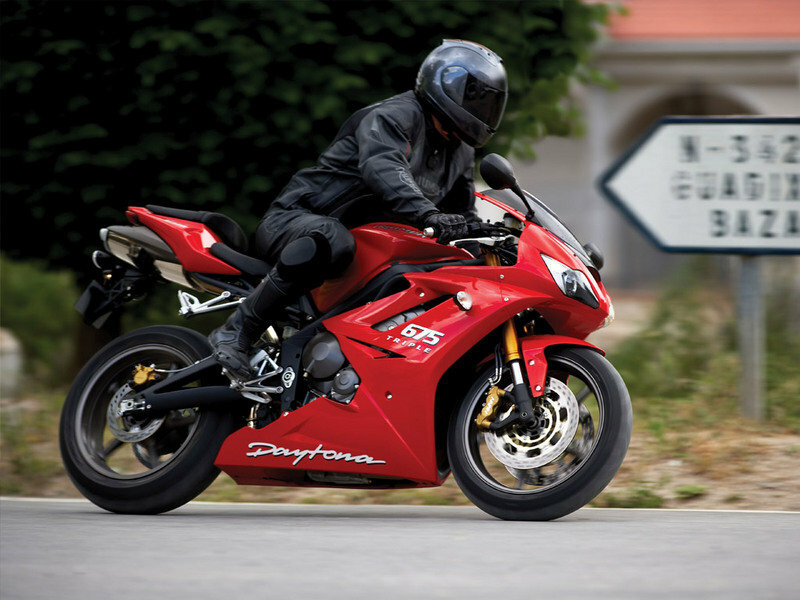 The Triumph set faster lap times than the four-cylinder machines from the Japanese manufacturers which, combined with the testers’ favourable comments, gave the Daytona 675 a clear advantage. 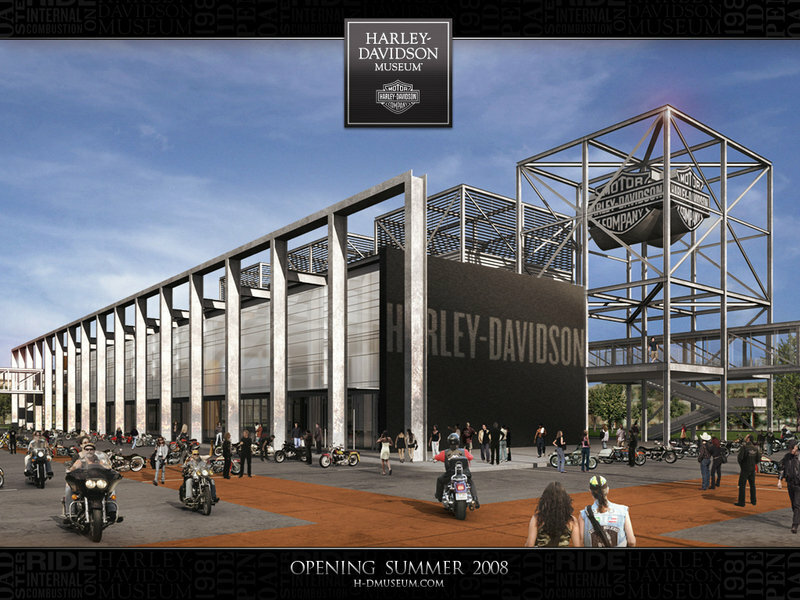 Nearly 105 years in the making, the Harley-Davidson Museum, located near downtown Milwaukee, will open its doors to the public on Saturday, July 12. Grand Opening festivities will kick off with a Harley-Davidson-style ceremony at 10 a.m. and will continue throughout the weekend. The Airwaves Ducati team kicked up a gear and leave Oulton Park first and second in the championship after Shane Byrne recorded a double race win and Leon Camier achieved two 3rd positions in today’s races. 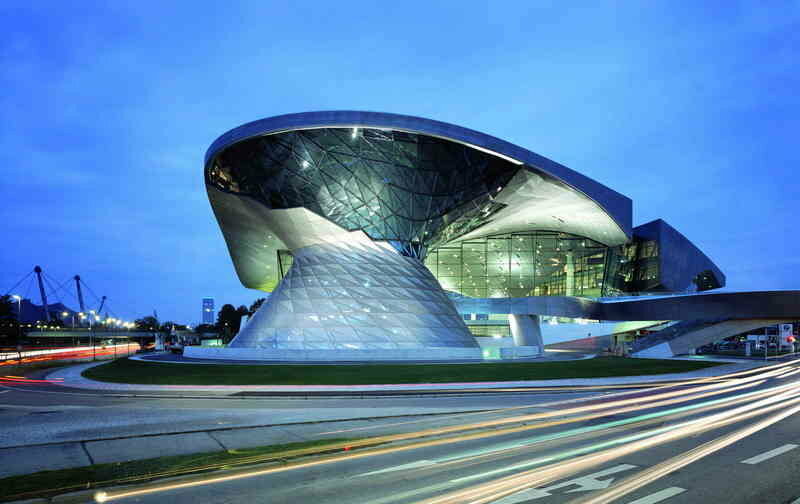 Although it was only opened on 17 October last year, BMW Welt in Munich, Germany, has already become one of the city’s top five tourist attractions. In fact, the millionth visitor has already passed through the facility, taking less than five months to exceed the 850,000 visitors expected in the first year. 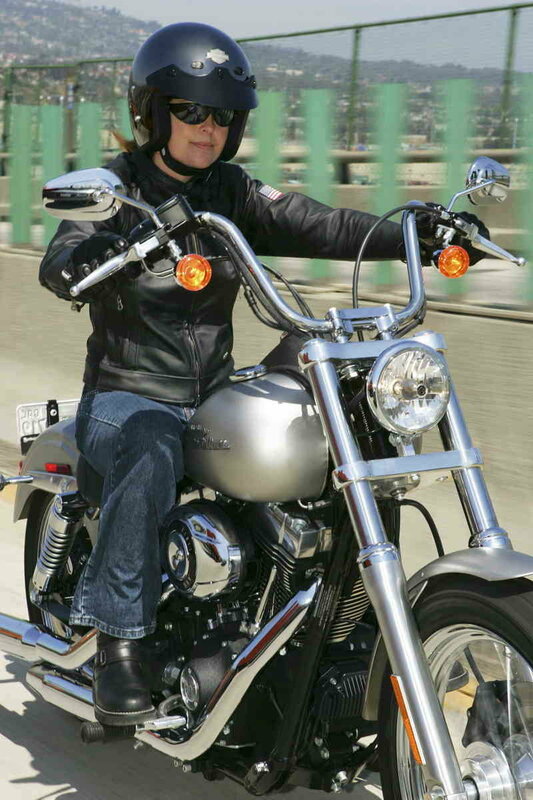 Over the past decade, women have increasingly embraced the sport of motorcycling - seeking the freedom and empowerment associated with riding solo on the open road. Today, in celebration of the growing presence of women in the sport, Harley-Davidson is participating in International Female Ride Day and encouraging female riders around the world to allocate time to hit the open road. For the first time, the most famous vintage road rally on two wheels comes to Monterey, California for a July 13, 2008 departure from historic Cannery Row. 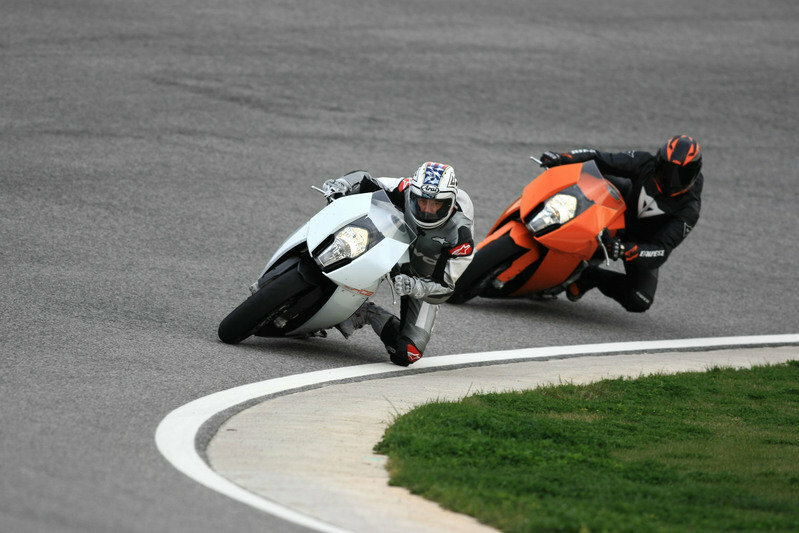 "Motogiro America" stops include: Paso Robles and a lap on the Mazda Raceway Laguna Seca in honour of the MotoGP Championship to be held on July 20, 2008. 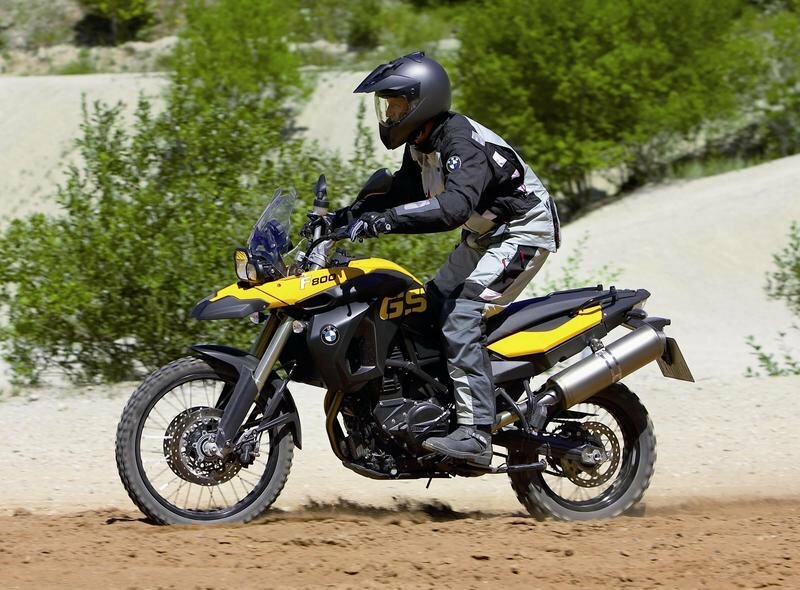 Bakersfield, CA police officers are now patrolling the bikeway along the Kern River with greater ease and safety, thanks to two new BMW G 650 Xchallenge motorcycles recently delivered to the department by Valley Cycle and Motorsports in Bakersfield. According to Frank Stevens, Authority Program Manager for BMW Motorrad USA, the Bakersfield Police Department is the first law enforcement agency to purchase the G 650 Xchallenge for patrol purposes. If you are on the other side of the planet and a few feet in the water and you think you can not satisfy your passion for two-wheelers, here’s the submarine scooter, the Thunderbolt971, which offers you that possibility under water. The sea horse is a revolutionary new way to move easily under the water and admire the beauty of the world of silence. Its battery provides a range of 50-minute walk at a speed of 2 to 5 knots. The bubble of glass is fed without interruption with air from the diving bottle and it can be doubled for the more experienced which can enjoy diving also during the night thanks to the integrated lights. Before the start of the Central Europe Rally, many people were convinced this new rally would offer the best opportunity to finally break the dominance of the KTM Rally bikes. Short distances, tracks more suitable to enduro bikes and easy navigation. Despite these ingredients KTM choose to race the 690 Rally Bike, and the results proved them right. 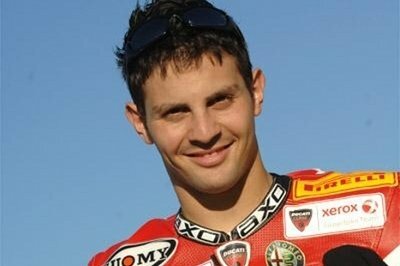 Michel Fabrizio returned to Italy immediately yesterday after the weekend’s Superbike round in Assen, to undergo a fasciotomy surgery on his right forearm. Michel had been suffering from forearm flexor muscle compartment syndrome for a few months and was therefore operated on yesterday evening at the Villa Serena clinic in Forlì by Doctor Giorgio Gondolini. The surgery was a success and Michel came away with 26 stitches. 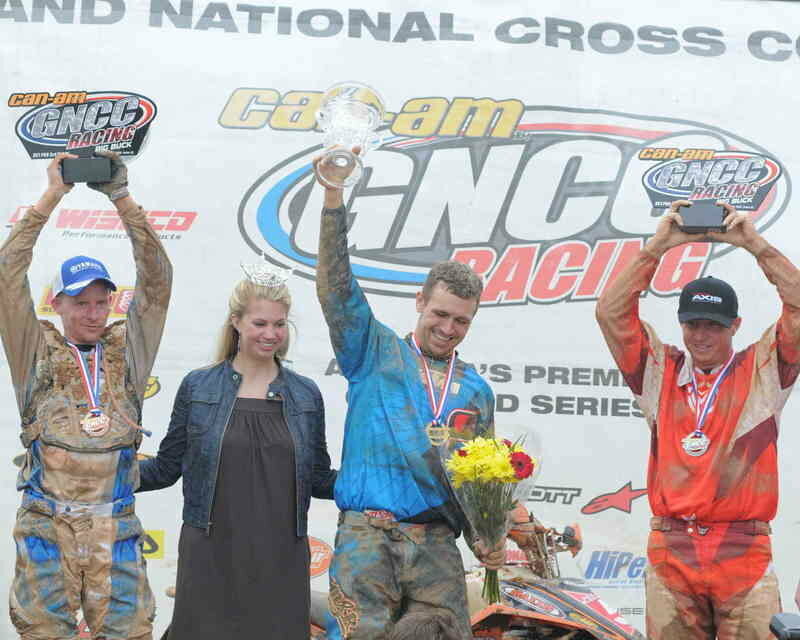 Red Bull KTM Factory rider David Knight won his third GNCC in a row marking his fourth overall win for the season at the 5th round of the GNCC Series at the Loretta Lynn’s Ranch. 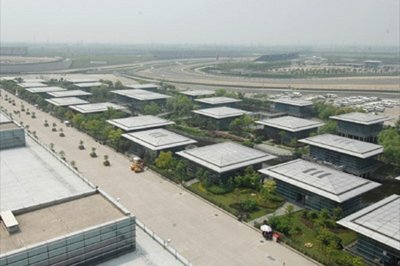 After a brief two-week pause in the calendar the MotoGP World Championship fires up again this weekend in Shanghai. The Grand Prix of China represents the start of the most intense section of the season, with the transcontinental trip to the Orient immediately followed by an extensive European road trip that leads through to the summer. Cyril Despres makes a convincing comeback in the top three! A bit unusual in rally-raid, but the competitors in the Central Europe Rally had to tackle exactly the same special as yesterday. Cyril Despres was inimitable and won the stage almost 2 minutes ahead of Jaroslav Katrinak who was second fastest. David Casteu lost only 11 seconds and will start the last special on Saturday in a comfortable lead of 4 minutes in front of Francisco Lopez. 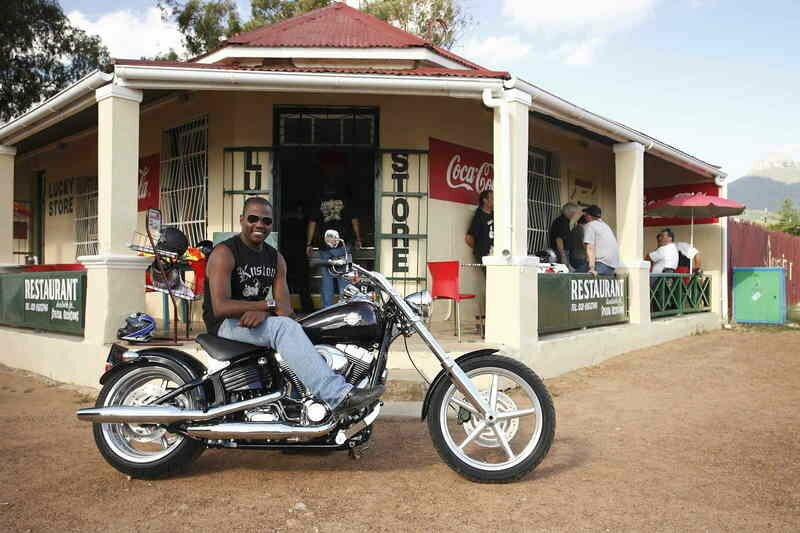 Harley-Davidson took an important step toward its goal of increasing its customer base in Africa and the Middle East with the opening of a new subsidiary office in Cape Town, South Africa this past February. 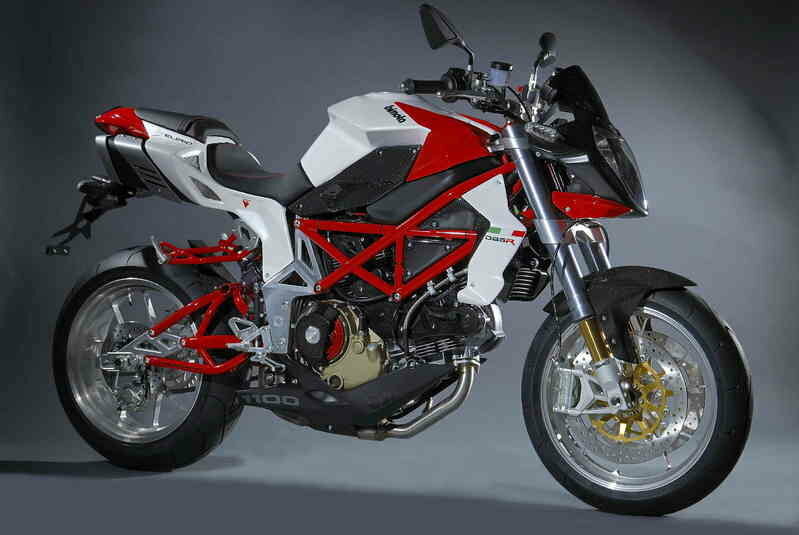 A few days ago, the new Aprilia Dorsoduro 750 was introduced to the international press for a first ride contact. This unique, elite bike applies all of Aprilia’s vast racing experience to just one mission: pure riding enjoyment. 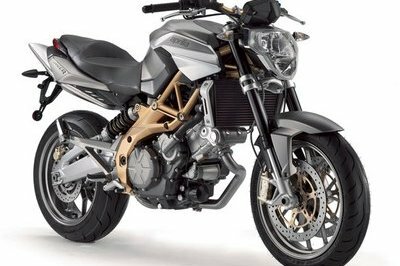 92 HP and exclusive Tri-Map ride-by-wire technology mean that the lightweight and powerful SMV 750 Dorsoduro can satisfy even the most experienced riders in search of a state-of-the-art bike. 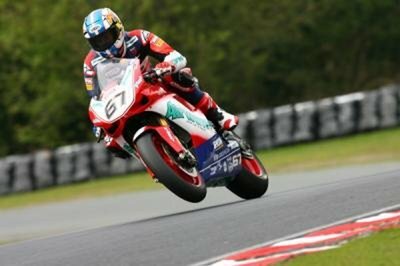 Motorcycle photo of the day: How to fly from your bike! I don’t know and please don’t ask if that motorcycle jacket comes with those wings included. I know neither the type of that jacket nor the maker. But I figured something from that photo: the guy (or angel) is having a blast. 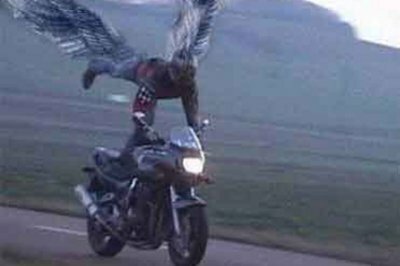 PS: Don’t try this at home (or on the streets) unless you have a jacket with wings like those in the photo. If you have a jacket like that please contact me as soon as possible. I would like to give it a try. 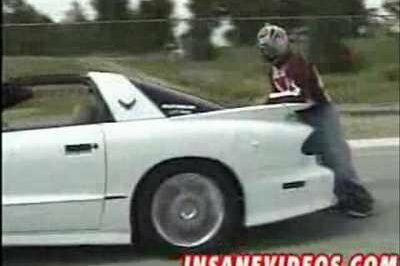 This is why you should pay attention to the traffic and especially this why those airbag suits will come in handy. Let this be a lesson to all the riders out there. . . don’t crash into parked cars! And for all the drivers: please take your time to look at junctions or to do a shoulder check before turning. Who will be the winner of the Central Europe Rally? David Casteu or Francisco Lopez? Two more stages to go in the first edition of the Central Europa Rally, and from today we know victory will be decided between David Casteu and Francisco Lopez. The winner of the 5th stage is David Casteu, who extended his lead with 2 minutes. 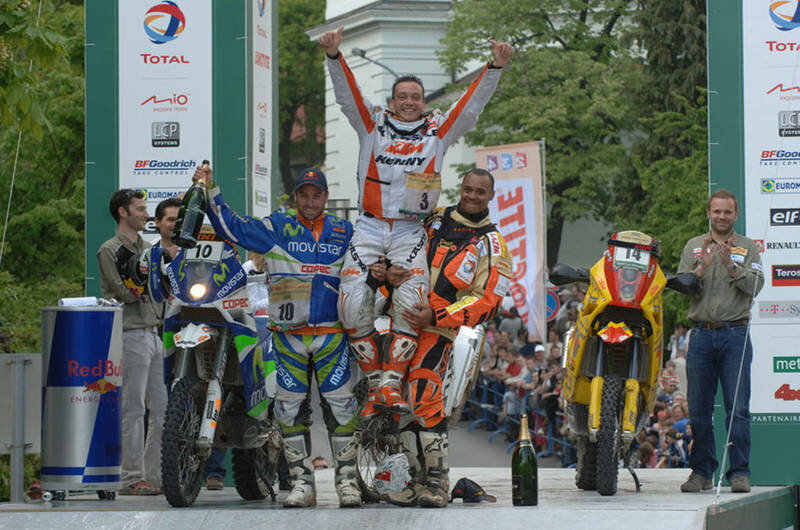 Jaroslav Katrinak winner of the day in enduro-style! 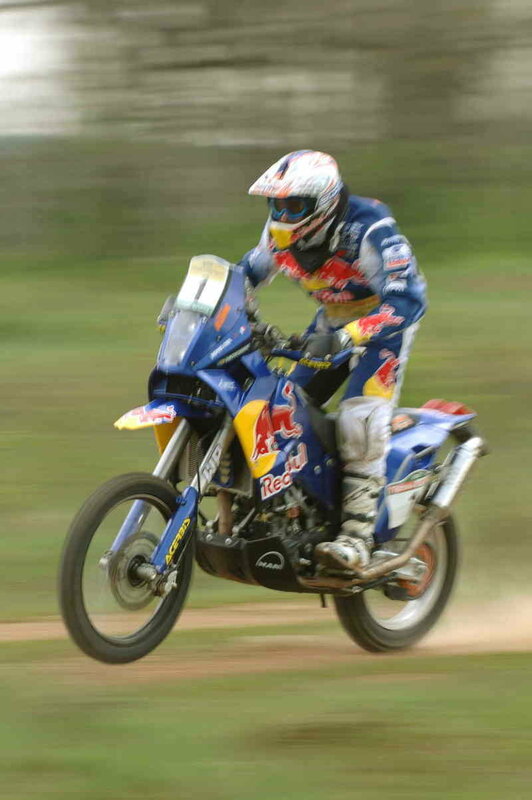 Cyril Despres was back on the pace again with a second place in the stage behind Slovakian rider Jaroslav Katrinak, who was on the attack with his KTM EXC 530. Airwaves Ducati leave the first race of 2008 1st and 4th in the championship, after Shane Byrne won race one and came 2nd in race two on board the Ducati 1098 R. Leon Camier started his season well with a 4th and 5th place finish. 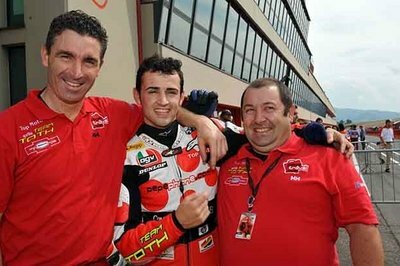 At the debut race of the Italian SBK Championship at Mugello, Luca Scassa and his MV Agusta F4 R 312 run by the UnionBike Gimotorsports team were at the front of the pack. 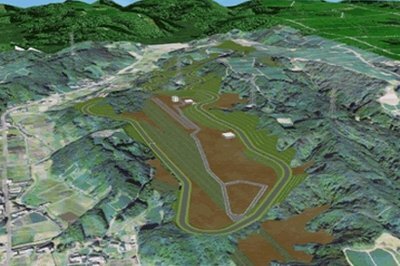 Yamaha Motor Co., Ltd. has invested a total of approximately 6.4 billion yen to construct a new test course in the Tanno area of Kikugawa City, Shizuoka Prefecture, Japan, in response to increased demand for motorcycle development in the growing markets of Asia, Central and South America and other regions. 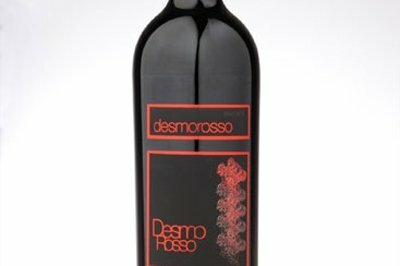 Ducati entered the world of fine wines with the introduction of a new vintage, Desmorosso 2006. This exciting creation features a unique blend of grapes purposely created with the Ducati class and spirit of excellence in mind. Officially licensed by Ducati, Desmorosso is a wine that blends all the values typical of made in Italy, such as creativity, meticulousness, innovation and tradition, professionalism and the search of the highest quality and the passion. With a world-wide edition of only 25 pieces this blue matt and anthracite matt MZ 1000 SF with its unique MZ logo is something very special! 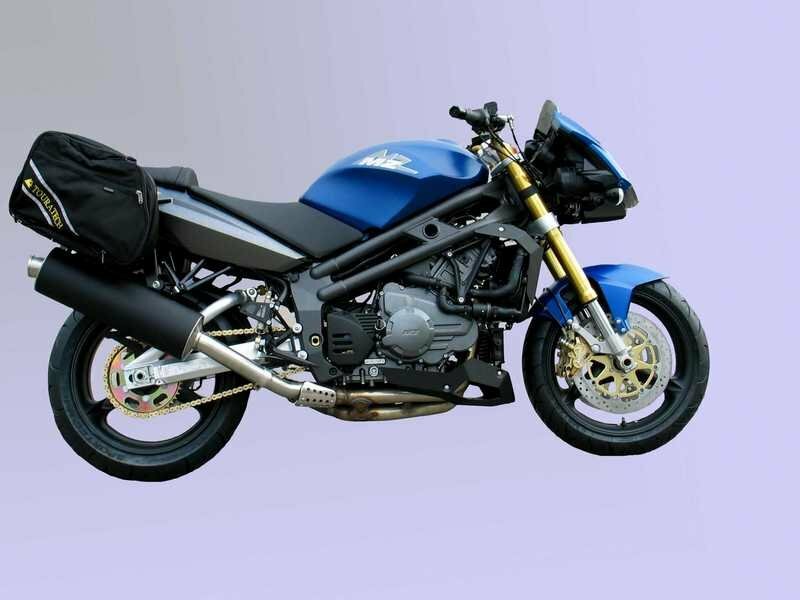 When ordering this motorcycle you will get a Touratech soft bag carrier system for free. 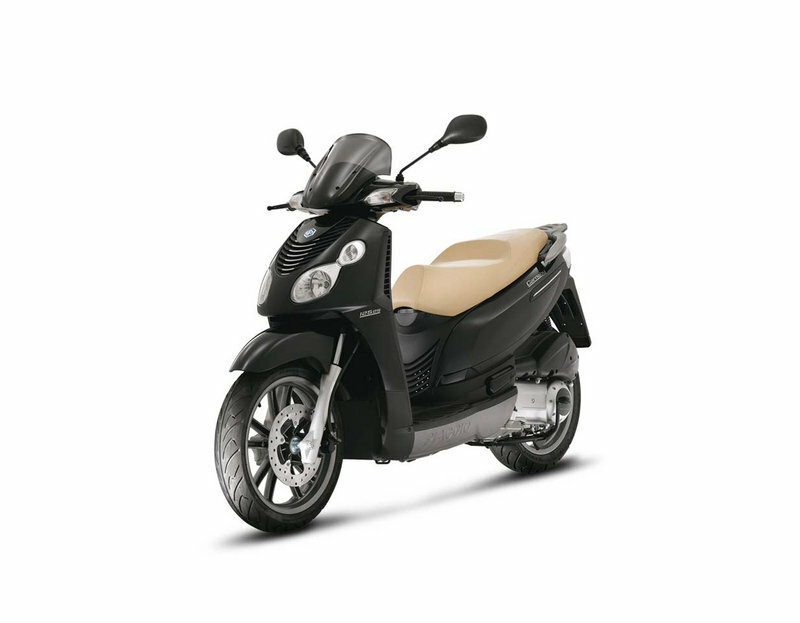 Don’t miss the exclusivity on 2 wheels and contact your MZ-dealer today! 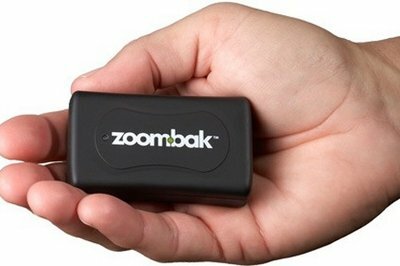 Zoombak is launching another package for its convenient little Zoombak GPS locator device for all those in need of a convenient, easy-to-use, real-time solution to locate and recover their missing bikes. The new universal carrying case is designed to let you mount the device to just about anything else you’d care to track. The Ducati MotoGP Team ended a four-day spell at the Estoril circuit today with a testing session that took place in warm and sunny conditions, with track temperatures reaching 40ºC. When the checkered flag dropped in front of the Finnish BMW factory rider Simo Kirssi at the finish line of the GCC-Race in the Sandpit of Tollwitz the whole team of BMW Motorrad Motorsport was overcome by a wave of relief. After the hard work of the last months they could celebrate a victory at the first race of the German Cross Country Championship which is the off road series with the most participants in Europe. The latest evolution of TNT family is already at your dealer. Engine’s architecture is always the same but the capacity has been decreased to 899 cc radically upgrading the reliable three cylinders engine. It keeps the older sister’s large torque. Perfect for everybody who is approaching Benelli’s World. Ducati dealers from coast to coast will be celebrating the 2008 Ducati Apparel Collection with fashion shows and displays on April 25-26. Ducati Apparel Collection fashion shows were introduced in 2006 and have since become highly anticipated events at dealerships, motorcycle races and other venues across the nation. 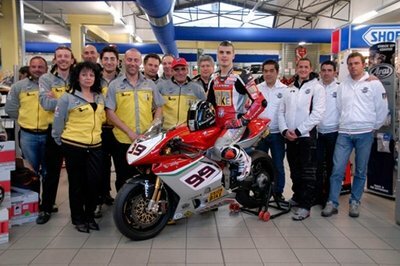 During the presentation of the 2008 Italian Championship, the team that will run the official MV Agusta bikes presented it’s racing program for the upcoming season. Riders who are willing to buy the best naked bike out there and for whom money are not an obstacle, the best offering enters the scene: the Bimota DB6R An exclusive and brand new model, the Italian naked goes up against the British in an attempt to dethrone the Speed Triple which is considered the naked of the masses thanks to its affordability. Let’s get rolling! 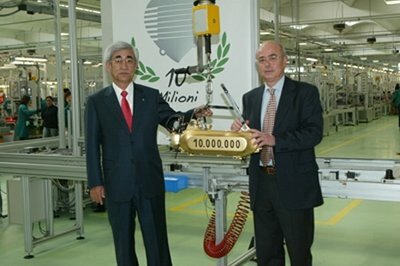 Motori Minarelli S.p.A., the Italian motorcycle engine manufacturing subsidiary of Yamaha Motor Co., Ltd., celebrated the manufacture of its 10 millionth engine since the company’s founding at a ceremony held at its headquarters in Bologna on April 11. Representing Yamaha Motor at the ceremony was President and Chief Executive Officer Takashi Kajikawa. The muddy 12-mile loop was one of the most challenging so far. The rain poured down all day and stopped right before the main event but left the course quite wet. McGill, who has been known for his good starts so far this year, had the opposite luck when the flag dropped. "I rounded the first turn in 18th! I just put my head down and started to pass people," remarked McGill about his start. 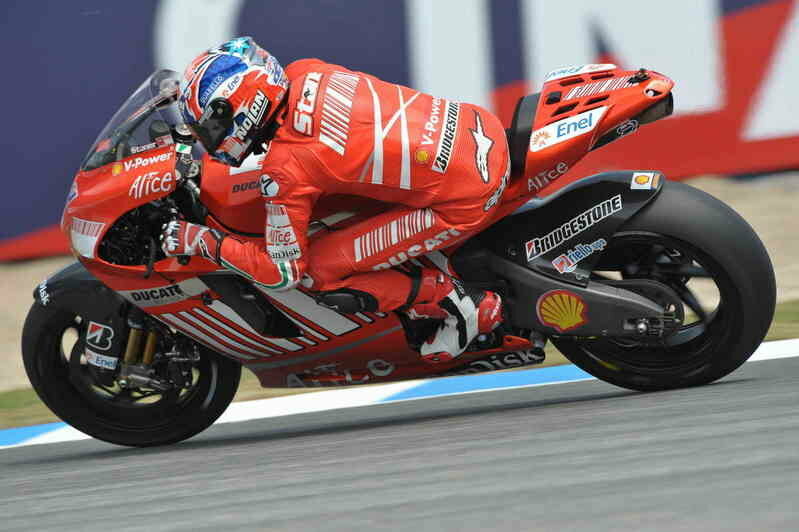 After dominating the opening free practice session for the Grand Prix of Portugal on a damp and cold morning at Estoril, Casey Stoner struggled to seventh place this afternoon as the track dried out and temperatures rose slightly. 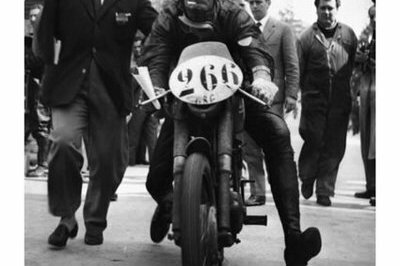 The World Champion was one of a number of riders who fell victim to the tricky track conditions, crashing on the exit of the chicane but escaping injury as he laboured to find a good feeling with the front end of his Desmosedici GP8. Club Italia 6.5 is again starting up a series of gatherings for the owners of Philippe Stark’s mythical creature. 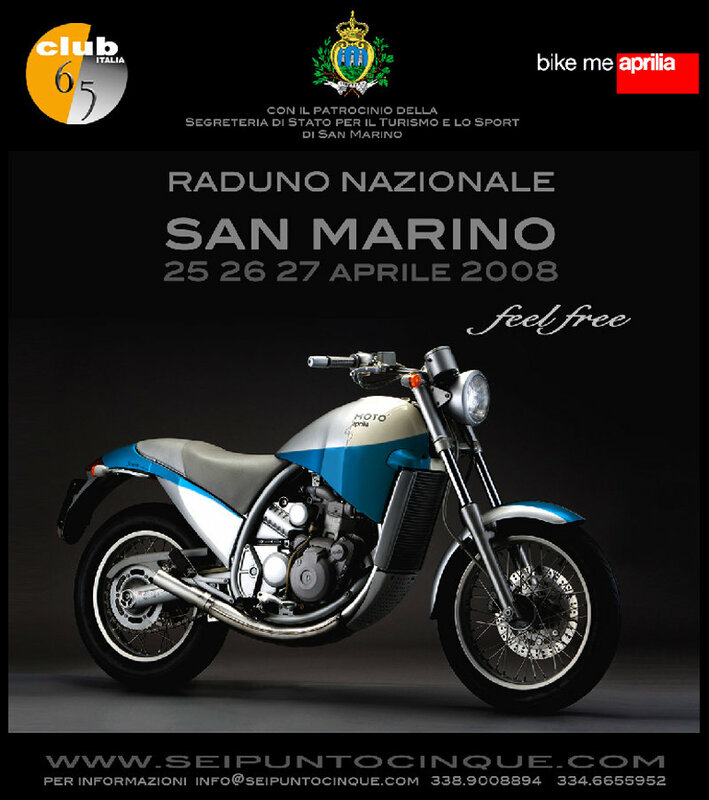 They have set the date and location for the 2008 national meeting in the splendid scenery of San Marino. In less than a month, they will bring together the lovers of the 6.5 for a 3-day meeting that will be full of discovery. 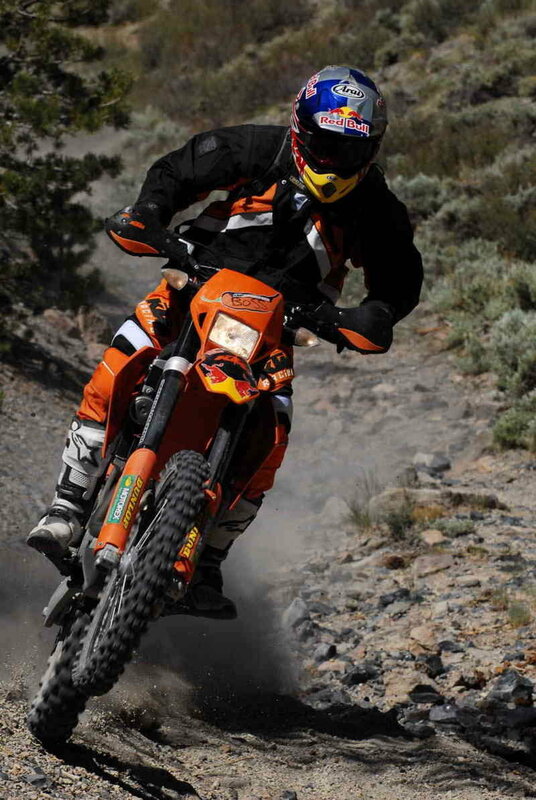 Official KTM UAE rider Sebastian Husseini earned an impressive victory on his KTM 525 XC Sport ATV in the last round of the Baja Desert Championship series. 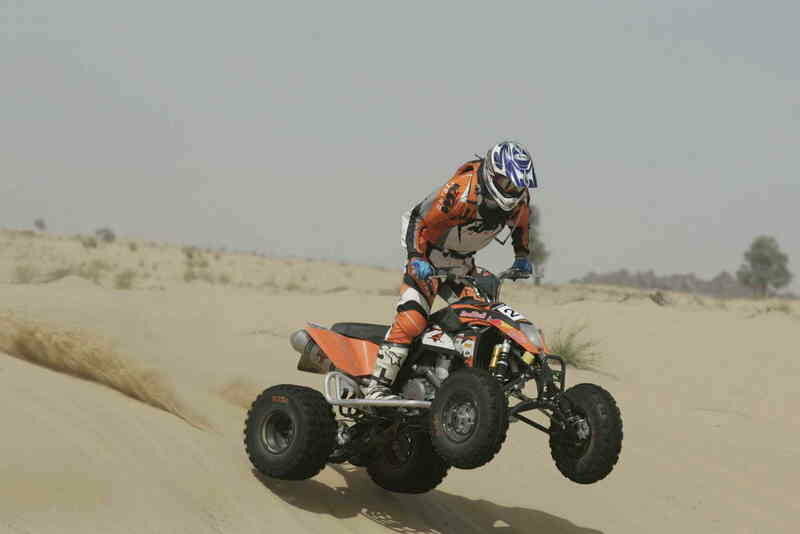 The Dubai Desert Baja race took place on Friday, April 4. Competitors raced 12 laps through the gruelling terrain on the tough 8 mile loop. Husseini dominated the event crossing the finish line in first place with a remarkable five minute lead over his nearest competitor. 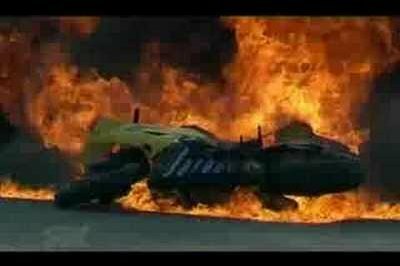 This video is for all those who missed the STK 600 race in Valencia and of course… the big fire! In a year of milestones for Suzuki, the manufacturer’s Georgia-based ATV manufacturing facility celebrated the production of its 250,000th ATV on March 31, 2008. 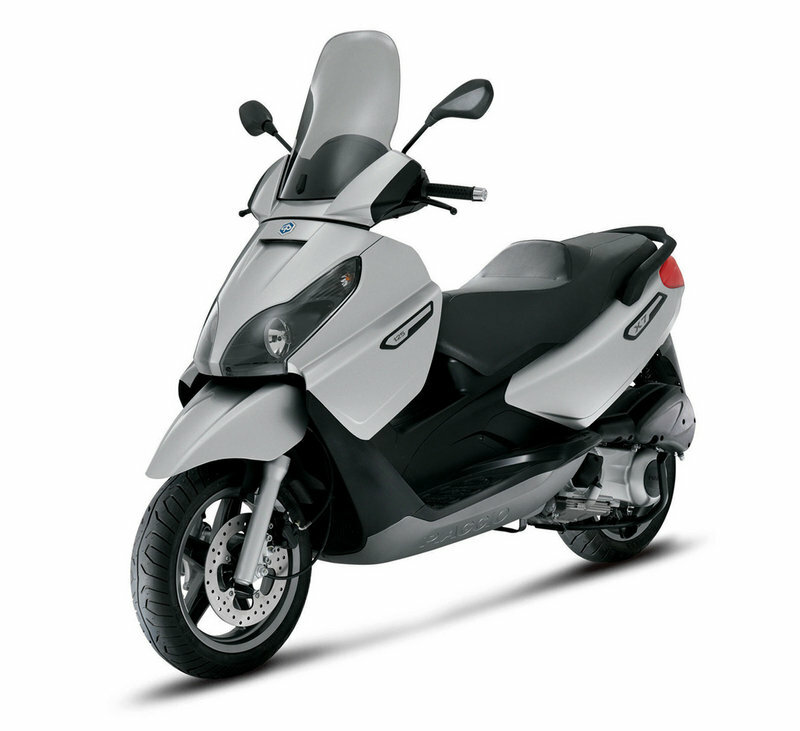 Suzuki will also celebrate 2008 as the 25th anniversary of it production of the industry’s first 4-wheeled ATV - the 1983 Suzuki LT-125 - with anniversary events scheduled throughout the summer. Following on from a fruitful day of testing after the second round of the season at Jerez, which allowed the Ducati MotoGP Team to resolve some of the problems experienced during the weekend in Spain, the riders and staff are now ready to tackle the third instalment of 2008 at the Estoril circuit in Portugal. KTM, which has only just celebrated the rollout of the brand new 1190-RC8 Street Superbike, will have it on the track in Valencia on Sunday to compete in its first professional FIM Superstock 1000 World Cup race. 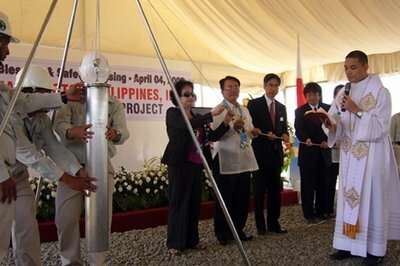 Yamaha Motor Co., Ltd. began construction today on a new motorcycle factory in the Lima Industrial Park in Batangas State, the Philippines, having invested 960 million pesos (approx. 2.5 billion yen) for construction. 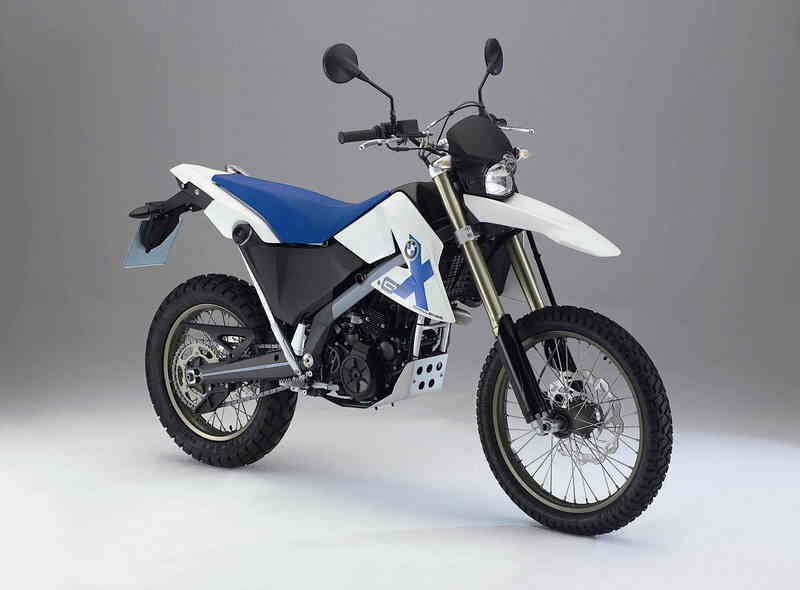 Manufacturing operations are scheduled to begin in January 2009 with a starting production capacity of 150,000 motorcycle units annually and an initial workforce of approximately 270. 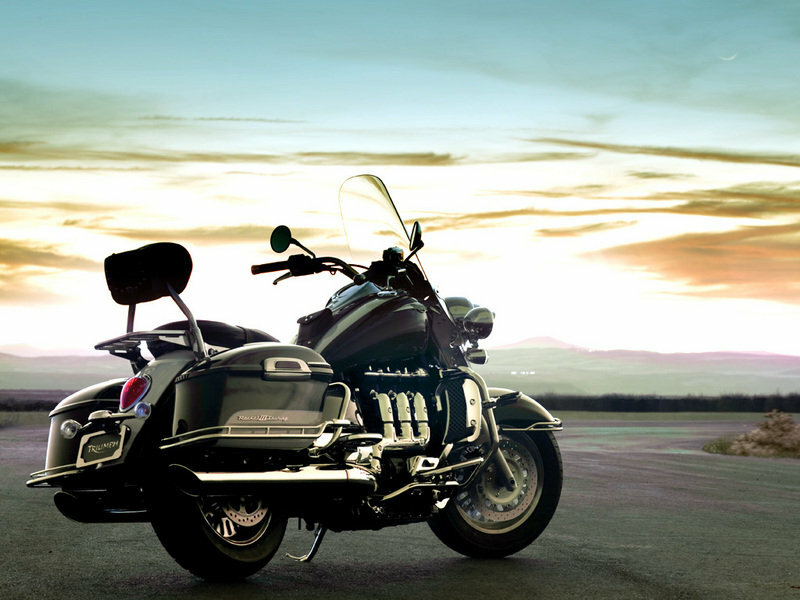 Tour in style and comfort this year with the Rocket III Touring now available at your local dealership. 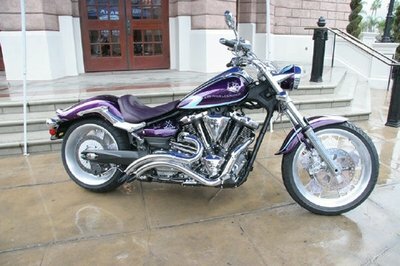 Authentic custom-touring style with all new frame, wheels, tank, lights, bars and footboards. Suspension tuned for touring provides sumptuous ride quality. Low seat and centre of gravity makes for easy handling. Full size quick release screen, huge 36 litre panniers, and clean as a whistle shaft drive help you arrive relaxed yet ready to go. 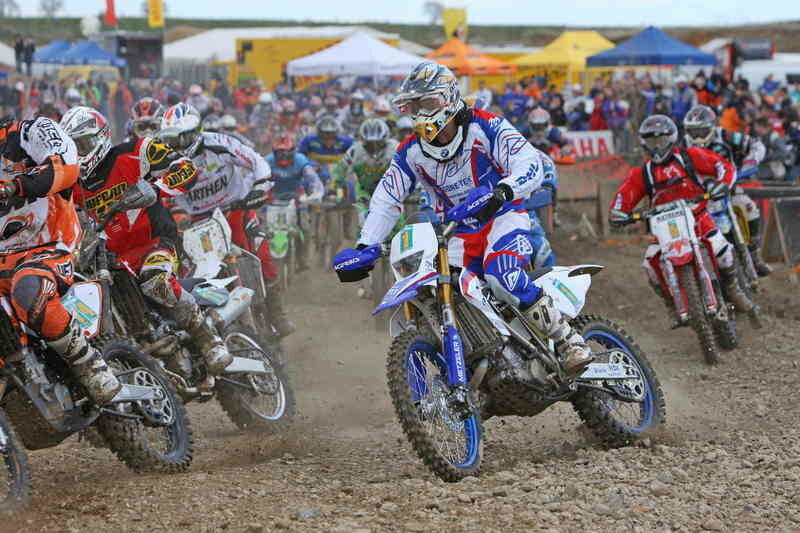 It is certainly no easy matter to take the lead in a class as fiercely competitive as the middleweight naked class. A class where the battle is not just about technology and performance, but also design, component rationality and riding ease and pleasure, elements which are not always compatible and are particularly demanding for designers and engineers. 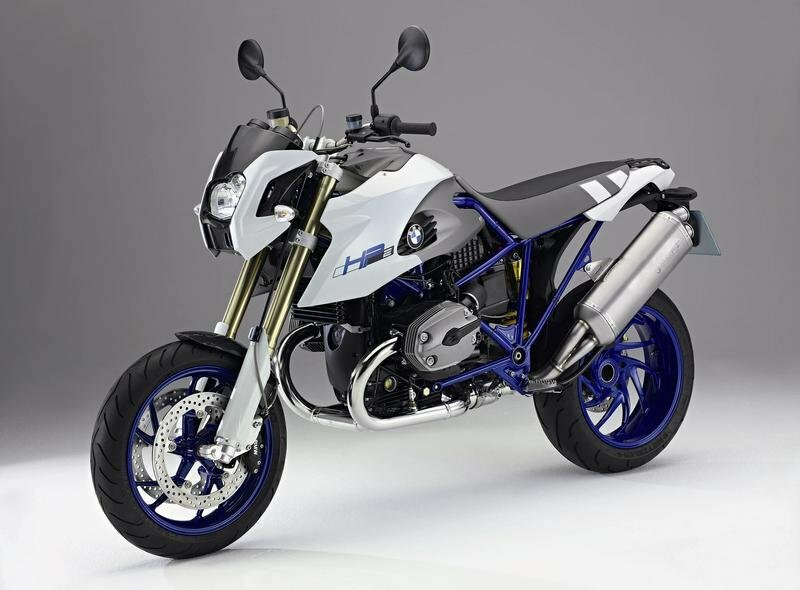 Motorcycle enthusiasts who appreciate the very latest in performance and technology can now find it on the new BMW HP2 Megamoto, now available at BMW Motorrad retailers. 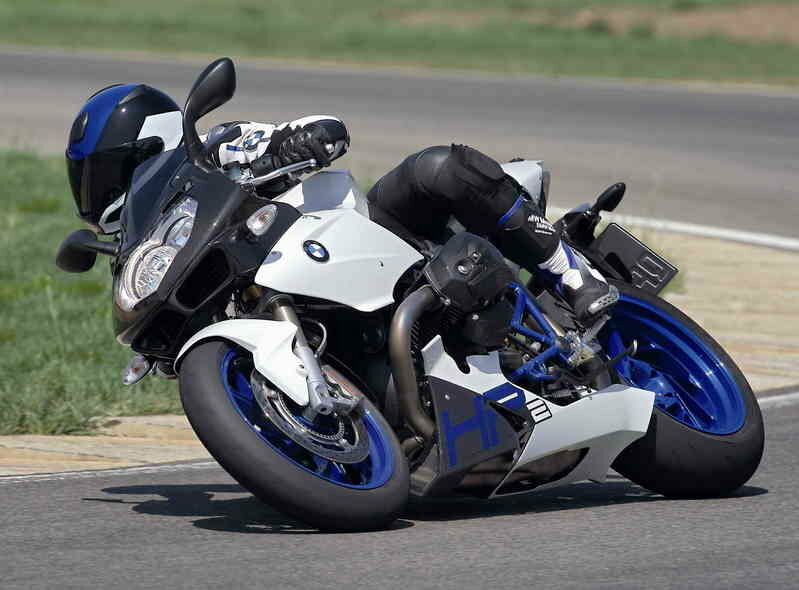 The ABS system is available as a factory-installed option through U.S. BMW Motorrad retailers at a manufacturer’s suggested retail price of $1,000.00; and, like the HP2 Sport, the system can be completely turned off. 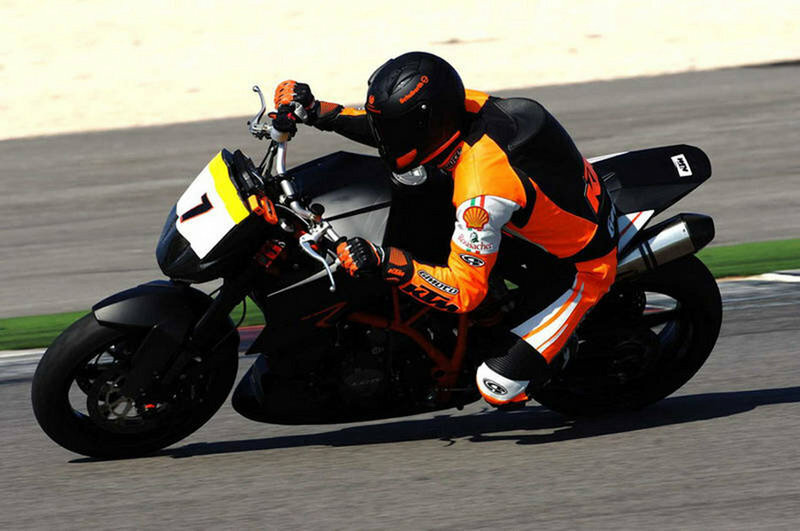 Michael Schumacher, one of the most successful ever Formula One racing drivers on Sunday completed his first ever competitive motorcycle race onboard a KTM Super Duke. 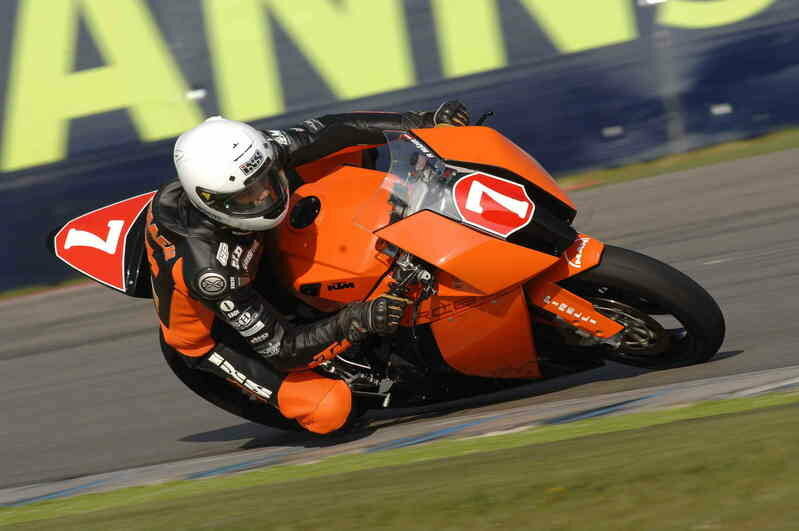 The now retired German racer succumbed to the need for speed when he rode a 990 KTM Super Duke in the 10-lap KTM Trophy race. 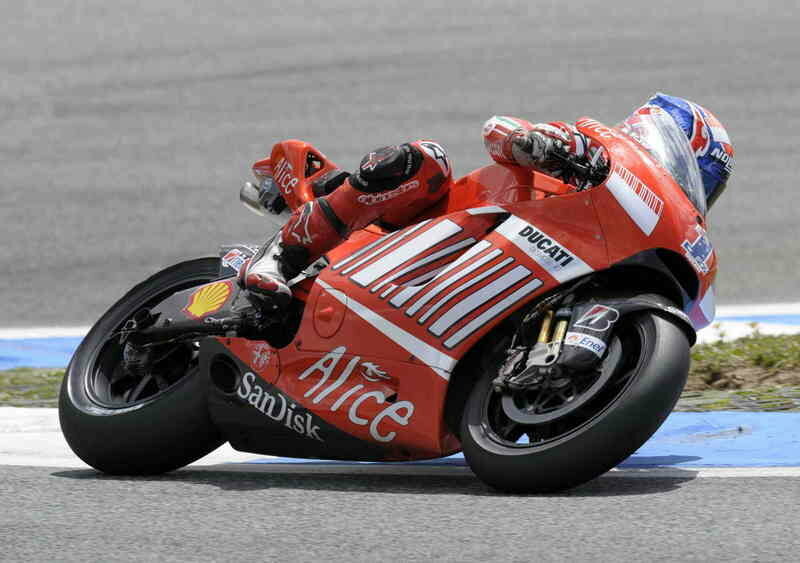 The Ducati MotoGP Team concluded their visit to Jerez de la Frontera on Monday with a day of tests that both Casey Stoner and Marco Melandri rated as highly positive, despite the Italian having ended the session early due to a crash. Melandri was not seriously injured in the crash, escaping with damage to a nail on his left hand, and was just disappointed that he didn’t get to complete an otherwise satisfactory day of set-up work that had only just begun to bear fruit. The 250cc Spanish GP was absolutely breathtaking. The wide audience on the hills of Jerez de la Frontera was incredulous up until the end, when the race turned out in the most unthinkable way. 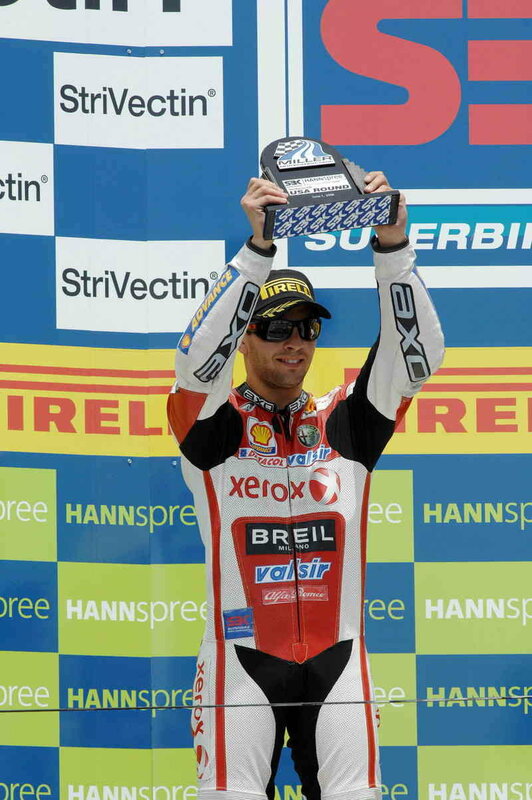 Aprilia performed brilliantly, but has to be contented with the second step of the podium. 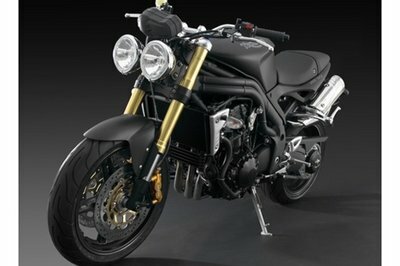 Take a ride to the dark side with Triumph’s Matt Black Speed Triple. 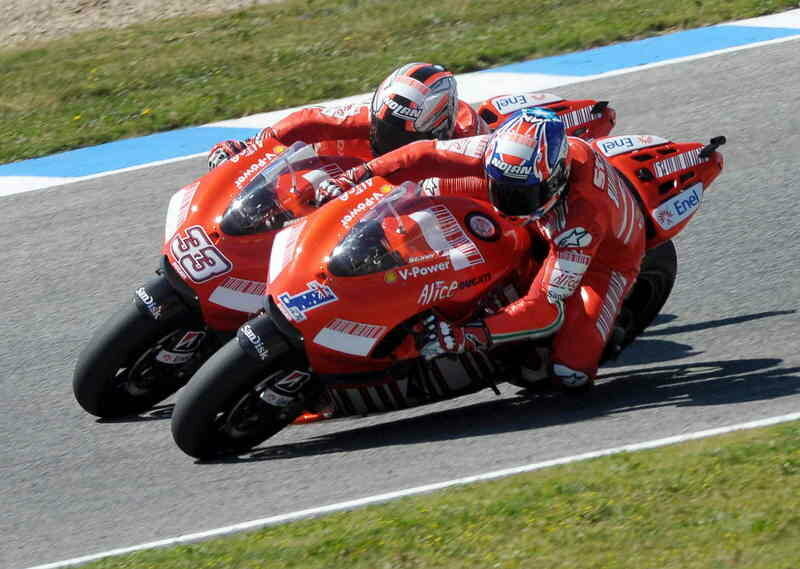 It certainly wasn’t an easy Grand Prix of Spain for the two Ducati MotoGP Team riders at the tricky Jerez circuit but a show of character and determination. 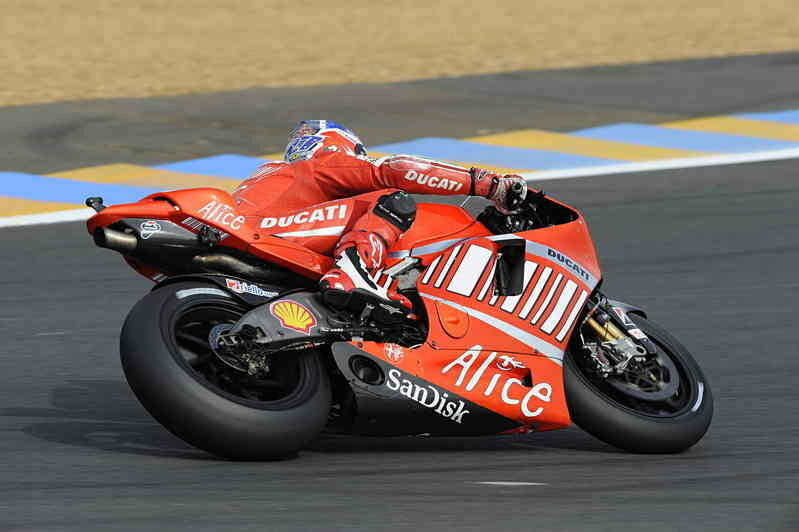 For Casey Stoner, who was never completely comfortable with the set-up of his GP8 all weekend, his desire to give 100% combined with a touch of bad luck saw him run into the gravel twice. 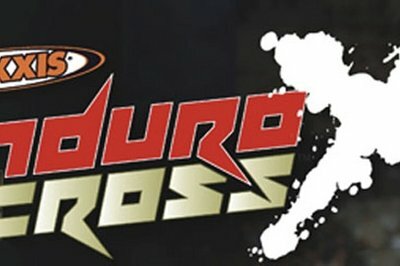 The countdown is on for the close of the Wings for Life Charity Auction on eBay, a unique opportunity to acquire some unique motorcycle memorabilia, including Cyril Despres’ Dakar winning KTM 690 Rally bike and Mika Kallio’s GP 250 racing helmet.